Why did you choose to work with us? I was recommended the “Chris Mason Performance” service by a good friend and neighbour who had achieved wonderful results with Chris for both himself and his wife. I have achieved my goal of a bikini body and I am absolutely delighted. I’ve gone from 24.3% body fat to only 12% body fat in a period of 12 weeks. I’ve also lost two dress sizes from a size 12 to a size 8. I feel strong, I am strong, I have lovely muscle definition everywhere, I even have abs…..!! I’m sleeping really well, and I look toned all over. I look better now at 50 than I looked in my 20’s. What have your results with CMP meant for you? The results have meant a huge amount to me as I had a very specific goal in mind. 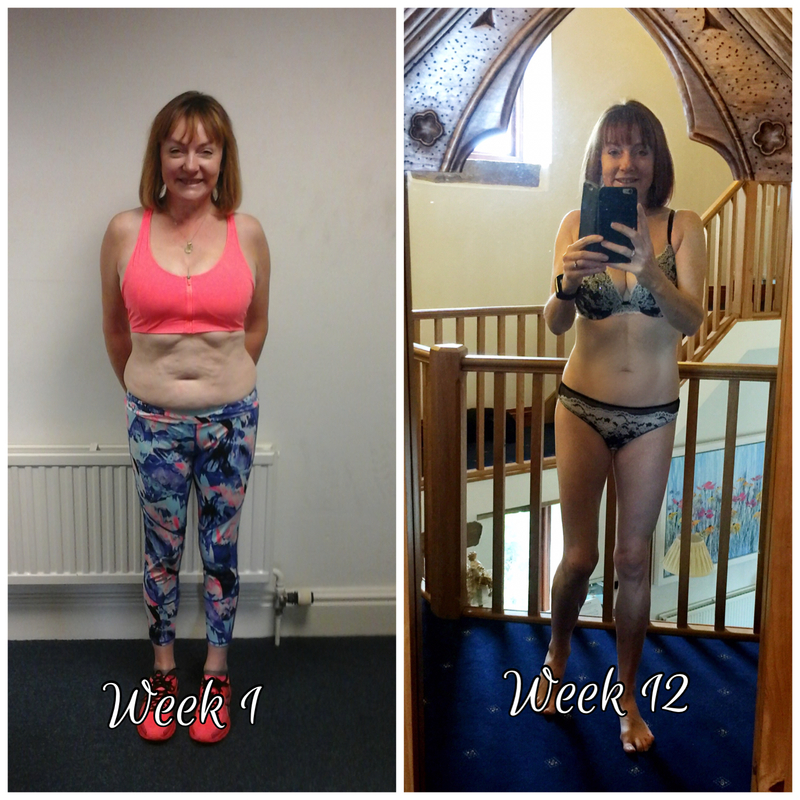 I’m sure we all have our own personal reasons for wanting to change something about our bodies…I wanted to be able to look good in a bikini, and be toned up in time for my 50th birthday, which happens to be next week. To achieve all this and more in only 12 weeks has made me feel incredibly happy. I feel more confident in myself as a person because I look good. I feel ‘body’ confident when trying on clothes in shops as my figure is amazing now thanks to Chris. I have even received compliments from other ladies who have admired my figure in clothing and underwear store changing rooms when I’ve been trying on new clothes. I’ve also lost two dress sizes from a size 12 to a size 8 in a period of 12 weeks. Why would you recommend CMP? I would HIGHLY recommend CMP to everyone who wants to change their body for the better. One thing that I find very special and unique about Chris’s service, making him (and Matt, another trainer at CMP who has worked with me too) stand out from anyone else (and I must add, I have found this NOWHERE else)… Is that Chris adopts a very much ‘holistic’ approach to changing your body shape. He looks at you as a whole person, he notices your physique, he notices your posture, he notices your strengths and weaknesses. (I had double shoulder surgery 3yrs ago which had weakened my shoulders. Chris has tailored my training sessions to accommodate that and to actually build strength in my shoulders – and it has massively improved both my shoulder strength and mobility). In a comprehensive and free of charge first session, Chris finds out everything about you so he can tailor a training routine that actually works for you. Chris also looks at nutrition in a very simple but highly effective way. He is incredibly knowledgeable about all aspects of nutrition, training and the science behind how and why our bodies do what they do in terms of exercise, digestion, muscle building…He even looks at your stress levels and sleep patterns. I have never received this level of service from any gym or any personal trainer, anywhere else. All these factors are monitored daily throughout your training program. Every client sends in a daily ‘focus email’. I think this is a genius aspect to the service as it allows Chris to see where you are in terms of eating/sleeping/stress etc. All these things affect the way your results take shape. The other thing that makes Chris’s service special and unique, is that he is as committed and invested in your results as you are… He literally gives his all. I cannot speak highly enough about the service I have received.